Take a look at the example below. 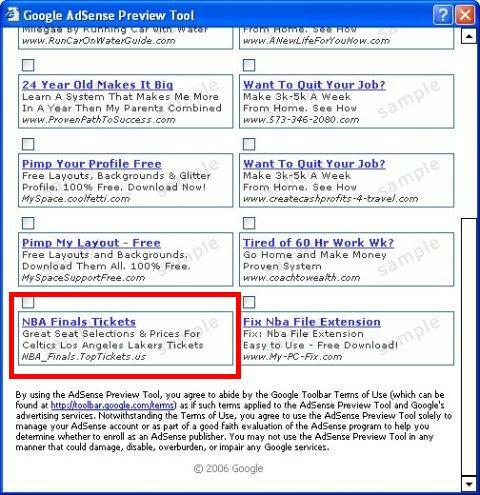 The page is about the Los Angeles Lakers and one of the potential ads is to buy tickets for a Lakers game.The target audience would typically be people in the Los Angeles area, possibly Southern California, possibly California and very small set of people living in rest of USA/Canada. 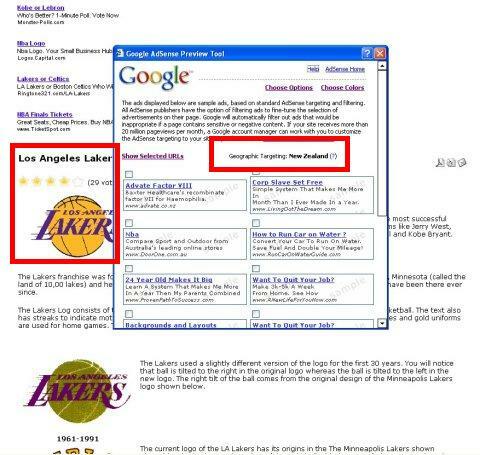 However you can see from the 2nd image below, one of the advertisers is showing the ad to buy Lakers tickets in New Zealand. How many Lakers fans are there in New Zealand who will fly in to LA to watch a game? A wild rush I imagine especially with the cost of tickets these days? 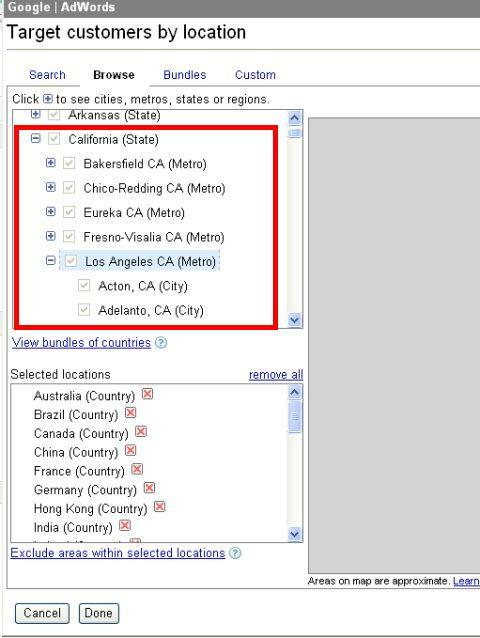 Lesson: If you are running an Adwords campaign, think hard about where your target audience is located geographically.